Lusaka is the capital and largest city of Zambia. One of the fastest developing cities in southern Africa, Lusaka is in the southern part of the central plateau at an elevation of about 1,279 metres (4,196 ft). As of 2010, the city's population was about 1.7 million, while the urban population is 2.4 million. 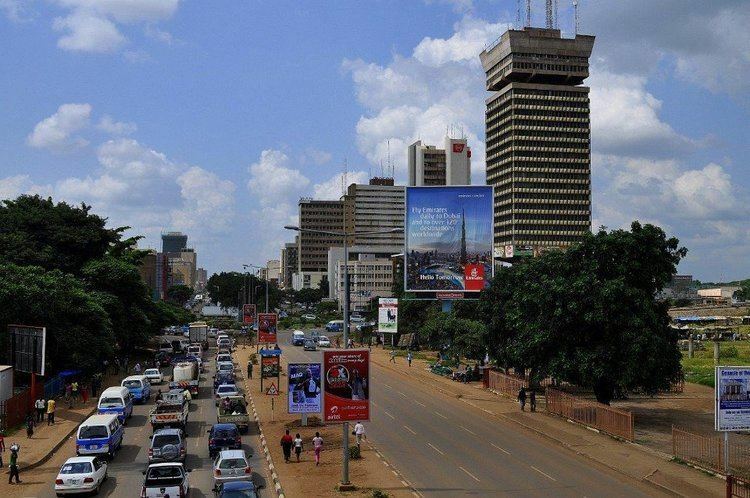 Lusaka is the centre of both commerce and government in Zambia and connects to the country's four main highways heading north, south, east and west. English is the official language of the city, but Nyanja and Bemba are also common. Lusaka was the site of a village named after its headman Lusaka, which, according to history, was located at Manda Hill, near where the Zambia's National Assembly building now stands. In the Nyanja language, Manda means graveyard. The area was expanded by European (mainly British) settlers in 1905 with the building of the railway. Zambia's highest institution of learning, the University of Zambia, is based in Lusaka. Lusaka has some of the finest schools in Zambia, including the American International School of Lusaka , International School of Lusaka, Rhodes Park School, the Lusaka International Community School, the French International School, the Italian international School, the Lusaka Islamic Cultural and Educational Foundation (LICEF), the Chinese International School, and Baobab College. Rhodes Park School is not an international school, though there is a large presence of Angolans, Nigerians, Congolese, South Africans, and Chinese. The children of the late President, Levy Mwanawasa as well as the children of Vice-President George Kunda, attend the Rhodes Park School. Attractions include Lusaka National Museum, the Political Museum, the Zintu Community Museum, the Freedom Statue, the Zambian National Assembly, the Agricultural Society Showgrounds (known for their annual agricultural show), the Moore Pottery Factory, the Lusaka Playhouse theatre, a cinema, the Cathedral of the Holy Cross in Lusaka, a cenotaph, a golf club, the Lusaka Central Sports Club, and the zoo and botanical gardens of the Munda Wanga Environmental Park. The city is also home to the University of Zambia. Along Great East Road are two of the first large shopping malls in Zambia: Arcades shopping mall (with open-air storefronts) and Manda Hill shopping mall (enclosed shops), which was revamped and is home to international stores such as Shoprite, Game and Woolworths, a new movie theatre and has the first KFC in the country. Lusaka is home to Kenneth Kaunda International Airport (which is used for both civil and military operations), and it lies on the railway line from Livingstone to Kitwe. There is also Lusaka City Airport, which is used by the Zambian Air Force. Bus services to towns surrounding Lusaka, such as Siavonga and Chirundu, use the Lusaka City Market Bus and the inter-city bus terminus station and the city bus station (Kulima Towers Station). Amy Holmes (born in 1973 in Lusaka) is a news anchor on Glenn Beck's TheBlaze. Lusaka is the hometown and current place of residence of Joseph and Luka Banda, the first ever conjoined twins to be successfully separated and in full neurological health. It is also the home of IIMegaxlxll videos, a young boy who gained fame on YouTube, Reddit and 4chan for his video titled "My longest yeah boy ever".